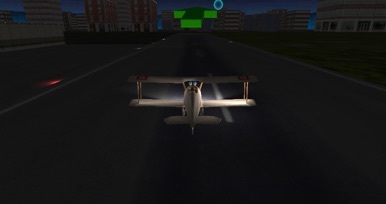 Get ready for take-off with airplane pilot 3D – flight sim. This fun and easy to play flight game is nothing like the traditional flight simulators. This game is all about getting your airplane in the air and clearing the flight missions as quick as possible. Follow the path that has been set out in the different levels. Take-off and land your aircraft on several airports, be careful of the sounding. So if you are thinking of a flight career as a stunt or race pilot airplane pilot 3D – flight game is just perfect for you. This flight simulator will learn you the skills and tricks needed to get a stunt plane in the air and on the ground. Push yourself and your aircraft to de limit in the skies, airplane pilot 3D – flight sim is cool flight experience. This flight game is much easier to play than the more heavier flight simulators, the easy arcade like control will give you rapid movement at let you climb to great altitude. No complex cockpit controls in this flight game. Take-off and enjoy the sky, control your own aircraft, free of most rules and regulations. So get to the sky and add some flight hours to your clock. Airplane pilot 3D is an new airplane simulator that will let you practice landing and taking off from cool airfields. Preform stunning stunts like a stunt pilot when you’re up there, and get back safely to the ground without smashing your aircraft into the ground our near buildings.